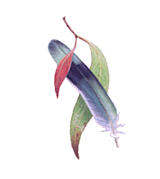 Nicolas Day - Wildlife artist specialising in fine detail bird paintings. has been one of the most - if not the most - respected bird guide books in the country. Since it was first published in 1984, it has sold over 500,000 copies. Nicolas is now making available a number of high quality prints from other paintings he has produced which are representative of the high standard of work that has gone into this book as well as other publications and private commissions. A wildlife artist since 1977, specializing in bird art, his work has featured in several field guides and other books.